The weekend of my visit, I am preparing to take the community on a mind blowing journey into my discovery of “smoking-gun” archaeological evidence for the Israelite Sojourn in Egypt and Exodus, bringing the stories to life. I will share with them my peer-reviewed work, uncovering what my academic advisers agree to be inscriptions left behind from the Exodus, and Joseph-era inscriptions as well. I will also be sharing my interpretation of what we can call the Seal of the Tribe of Joseph (as the vizier Ankhu), probably used by the vizier Iymeru — the biblical Ephraim. We’ll learn about the true scale of the Exodus, its true geographical details, and what disinformation to be wary of in regards to false ID’s for the historical persons and places of the Exodus story. My academic papers, which all hit the top 1% of paper downloads in the month they were published, can be found at independent.academia.edu. Rabbi or “Mori” Michael-Shelomo Bar-Ron is a publishing Torah scholar. He is both a communicator of science to Torah-observant Jews and Noahides on one hand, and a communicator of rational Torah to secular audiences on the other. He is a life-long student of Torah and science, particularly biological anthropology, biblical archaeology, and environmental science. Due to the widespread attention Mori Bar-Ron’s last four academic papers have received, he was a top-1% contributor to Academia.com in the first quarter of 2018 (top-.05% in January). His books, Guide For the Noahide (Lightcatcher Books ©2009,2010), Oral Torah From Sinai (Lightcatcher Books ©2011), and Song of the Creator (Lightcatcher Books ©2015) have been hailed by rabbis and lay readers, Jews and non-Jews from around the globe, for elucidating in layman’s terms the rational genius, deep antiquity, and breathtaking structure of the Oral and Written Torah. His lecture tours, based on his work, have enthralled audiences in the U.S. and Europe. He has been interviewed on Cable TV and Arutz Sheva radio shows, and his writing published on their website. Rabbi Bar-Ron has a BA in Biological Anthropology with a Minor in Judaic Studies from U.C. San Diego. His academic studies brought him to the Hebrew University on Mount Scopus and Yeshivah University in New York. His ensuing Torah journey brought him from Yeshivas Ohr Sameach to rabbinical training at Shehebar Sephardic Center in Jerusalem and years of tutelage under rabbis and scholars of Sephardic and Yemenite Maimonidean tradition. As part of the staff at Migdal HaTorah Yeshivah in Modiin, Israel, he teaches a special program, the first of its kind in Israel, providing students with thorough training in a rational foundation for the biblical narrative, based on cutting-edge academic research. Throughout his Torah education, “Mori” Bar-Ron’s love for genuine science (and disdain for pseudoscience commonly embraced in religious circles) has never waned. 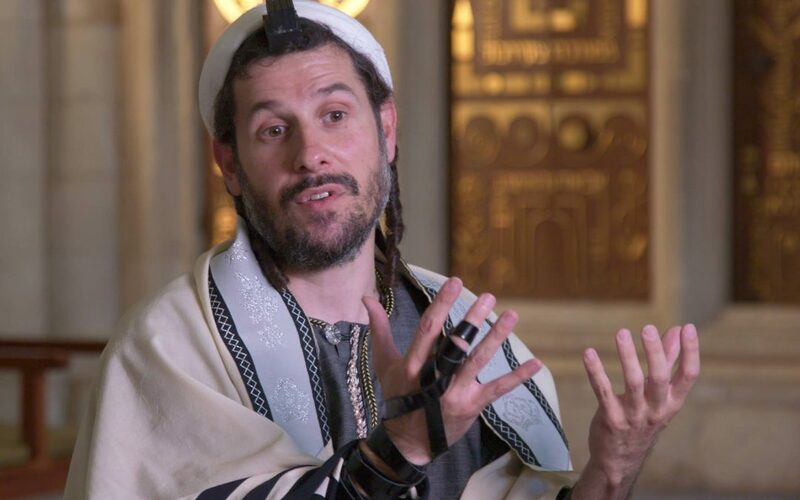 After years of maintaining a critical, balanced mindset as an understudy of scholars with opposing outlooks, he found compelling answers and rational solutions to controversies that have helped many to return to and maintain their Torah observance. He maintains a growing virtual Beit Midrash of some eighty active students worldwide and a subscriber base of nearly 1,000. Recently, the focus of his research and teaching has shifted back to academia. His new translations of Proto-Sinaitic inscriptions in the Sinai Desert reveal them to be priceless relics from the Exodus. His examination of a cylinder seal impression found at Tell ed-Daba strengthen the historicity of the biblical Joseph and several details in Genesis. Living with his wife and children in Israel for 19 years, his home and Torah center, Beit Midrash Ohel Moshe, are in Beit Shemesh. Rabbi Michael-Shelomo makes a living as an English professor in Jerusalem. In the Fall of 2018, he will join the staff of Migdal HaTorah Yeshiva, opening up a class –the first of its kind– exploring the bridges and synergy to be found between the worlds of Torah tradition and established science.